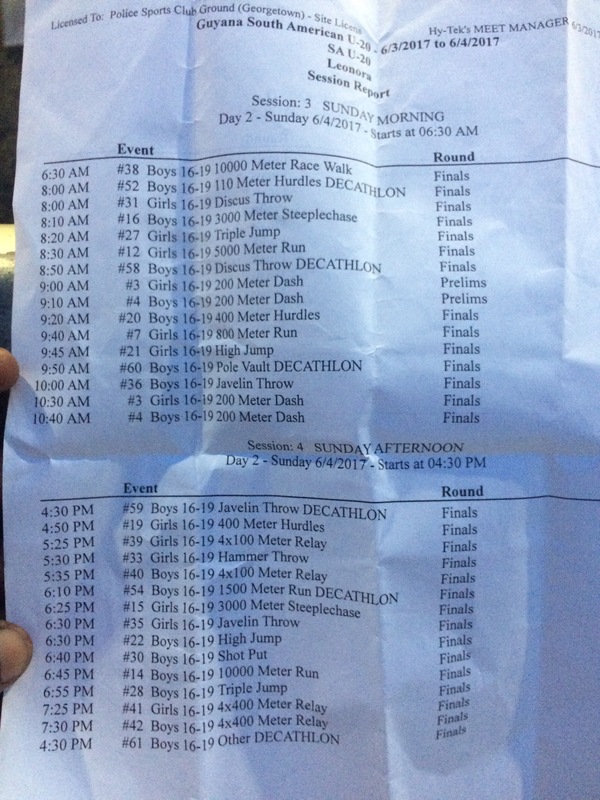 South American junior athletic championships events schedule #guyana – mark jacobs lives! 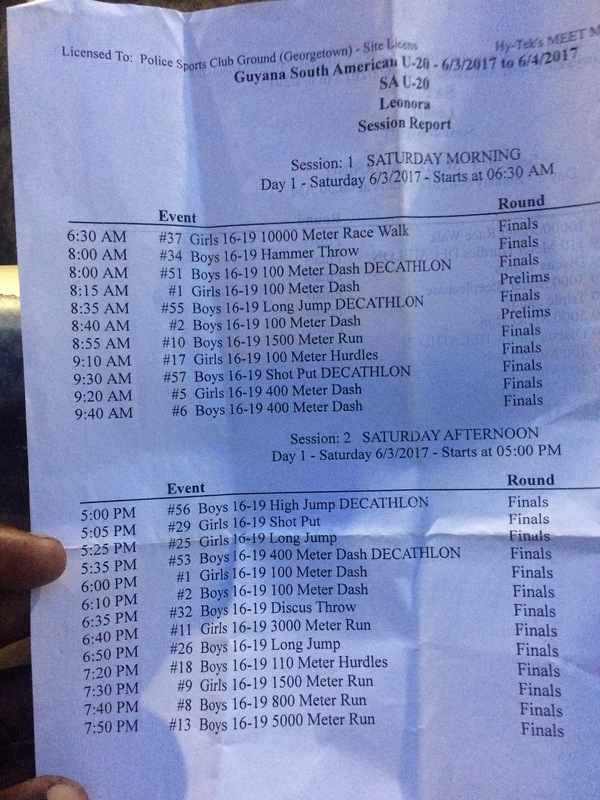 A brasillian coach gave me a schedule to the South American athletic championship being held in guyana. Thanks Lopes! Haven’t seen it published anywhere ‘cept piece in stabroek and piece in guyana times the day it started. Today is the last day and it promises to be hottttt! Big negroes never freed nobody. Rebel against all forms of tyranny & oppression. Including from those who look like you.